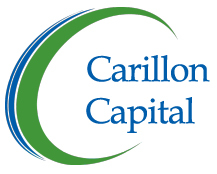 Each executive has roughly 30 years of experience in top level positions at some of the nations leading institutions, which leaves Carillon’s team poised to provide strategic advisory services for companies in specialty finance, e-finance, banking, brokerage, technology and lending institutions. Over the last 7 years, our team has been involved in the origination, structuring and management of billions of dollars of assets, while at the same time developing knowledge of and relationships with hundreds of lenders, depository institutions and other financial institutions around the world. With investment banking experience from Barclays, Lehman Brothers, JPMorgan, Carillon’s executives are able to structure the capitalization and recapitalization for select institutions. Carillon’s investors and executives take a holistic approach to incubating and investing. Carillon prefers a more “hands-on”, as opposed to passive approach when investing in select engagements. Each executive in the Specialty Finance division represents over 30 years of experience. This division serves multiple industries across North America and is committed to supporting the growth of your balance sheet. Copyright © 2014 Carillon Capital. All Rights Reserved.